The 2016 regular session of the Alabama Legislature began Tuesday and House committees got off to a fast start by taking up important legislation that is on the Business Council of Alabama’s legislative agenda. The first Tuesday Briefing of the session featured House Speaker Mike Hubbard, R-Auburn, who discussed swift House action on important pro-business bills: HB 36, the Small Business Act sponsored by Rep. Kyle South, R-Fayette; HB 37, the right-to-work constitutional amendment sponsored by Rep. Arnold Mooney, R-Birmingham; and HB 38, the Taxpayer Advocate bill sponsored by Rep. Mark Tuggle, R-Alexander City. The three bills are included in the House Republican Caucus’s 2016 legislative priority list and are part of the BCA’s 2016 state legislative agenda. All three bills received favorable reports on Wednesday: HB 36 by the Commerce and Small Business Committee, HB 37 by the Constitution, Campaigns and Elections Committee, and HB 38 by the State Government Committee. They are in position to be considered by the full House when it reconvenes on Tuesday. A vitally important BCA objective this session is, once again, to defeat legislation that would eliminate Alabama’s proven College and Career Ready Standards, which are working to serve Alabama’s 740,000 school children and Alabama’s business community. SB 60 sponsored by Sen. Rusty Glover, R-Semmes, is this year’s attempt to eliminate the Alabama College and Career Ready Standards. Since their adoption in 2010, a coalition of education, business, military, parents, and community groups has been successful in advocating for keeping the high standards for Alabama students. BCA President and CEO William J. Canary spoke at the Senate Education and Youth Affairs Committee public hearing on SB 60. 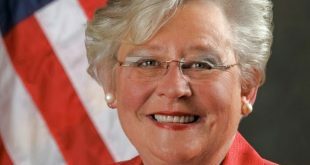 “Here we are again, asking you to not repeal something that our children need, our teachers want, the military demands, and Alabama business leaders require,” Canary said. Canary also spoke in favor of the proposed right-to-work constitutional amendment at the House Constitution, Campaigns, and Elections Committee. “The BCA strongly supports Alabama’s right-to-work status for its benefits to economic growth, industrial recruitment, and job creation,” Canary said. 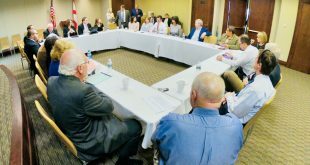 The BCA collaborated with the Alabama Hospital Association and met with legislators and hospital executives to explain the importance of the Alabama Medicaid program to hospitals, patients, and the state’s economy. The BCA has a very active 2016 State Legislative Agenda, ranging from important legal reform initiatives, to improving our education system, and responsibly investing in Alabama’s transportation infrastructure. Throughout the session, the BCA will advocate for new investment in surface transportation infrastructure, a vital component of public safety and economic development. The anemic General Fund budget is expected to once again dominate much of the session as revenues supporting the General Fund continue to decline. The BCA will continue to be part of the conversation to achieve an equitable solution to this longstanding problem in the short and long terms. A seventh attempt to repeal Alabama’s College and Career Ready Standards began this week when the Senate Education and Youth Affairs Committee held a public hearing on SB 60, which is another arbitrary government overreach that would nullify proven College and Career Ready Standards that have been adopted by the Alabama State Board of Education. Similar to last year’s repeal bill, SB 60 would force Alabama to revert to math and English language arts standards adopted in 1999 and 2003 and begin the process of adopting new standards to be in place for the 2017-2018 school year. The BCA opposes any efforts to remove the responsibility and exclusive jurisdiction of setting academic standards from the Alabama State Board of Education. The BCA has long been a supporter of the Alabama standards that are benchmarks of proficiency in math and English language arts that will better prepare Alabama students for college or a career after high school graduation. “It is no secret that education reform has become one of the BCA’s top priorities in recent years, and it is no secret that BCA has been a staunch supporter of the Alabama College and Career Ready Standards,” Canary testified at a public hearing. He said that 30 percent of Alabama’s students entering college need remedial courses in math and English. 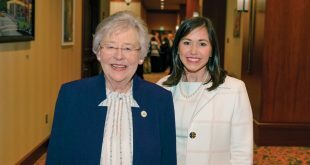 State Board of Education members Stephanie Bell and Betty Peters, the only two members of the board who voted against adopting the standards in 2010, also testified at the hearing, urging legislators to repeal Alabama’s standards. The committee did not vote on SB 60, though a vote is expected next week. BCA members are encouraged to contact their member of the Alabama Senate to urge them to oppose this attempt to lower academic standards in Alabama. To easily contact your member of the Legislature, download our app BCA Connect. Canary and Danne Howard, the Alabama Hospital Association’s executive vice president/chief policy officer, hosted legislators on Tuesday to educate them about Medicaid’s important role in economic development, job creation, and the quality of life. The session also included an explanation of the pending Medicaid regional delivery system. Medicaid is a $6.4 billion joint state-federal health insurance plan that underpins the state’s entire health system. Alabama’s health industry employs about 240,000 people and has a $19 billion economic impact on Alabama. Canary said when businesses look at states for possible locations, they check for the availability of employees, infrastructure, the education system, and health care. Losing Medicaid’s effectiveness will cripple economic development. “From our point of view, this is a critical issue with a capital ‘C’,” Canary said. Medicaid needs $105 million more from next year’s General Fund just to maintain the current level of services. Otherwise, services could be cut, hospitals could close, employees will lose jobs, patients will have fewer health care choices, and medical professionals could leave the state. This October, managed care Medicaid services will be delivered by Regional Care Organizations. The BCA’s position is that passage of Medicaid reform legislation in 2013 positioned the state to manage all aspects of Medicaid, including cost and care delivery. “We want to ensure they have access to quality care,” the AHA’s Howard said. The Business Council of Alabama supports a proposed constitutional amendment that would guarantee a man or woman’s right to work without having to join or not join a labor union as a condition of employment. Since 1953, Alabama has had a law guaranteeing a right to work, but a constitutional amendment would enshrine that right in the state Constitution. The Constitution, Campaigns, and Elections Committee favorably reported Mooney’s HB 37, which was substituted. The unanimous voice vote sent the bill to the full House for consideration on Tuesday. Canary said thousands of manufacturing and tech jobs have been created in Alabama over the last two decades largely because Alabama is a right-to-work state. Committee member Rep. Alan Harper, R-Northport, was in industrial recruitment for more than two decades and has met numerous company representatives who scouted locations in Alabama and elsewhere. On Wednesday, the House Commerce and Small Business Committee favorably reported HB 36, which is part of the BCA’s legislative agenda for 2016. HB 36 would provide tax credits to Alabama small businesses that create new jobs. HB 36 also is part of the House Republican Caucus’s agenda. The House GOP recognizes that small businesses have created more than 65 percent of new jobs over the past 20 years nationally and wants to provide an incentive for them. HB 36, also known as the Alabama Small Business Jobs Act, defines a small business as having 75 or fewer employees, is qualified to do business in Alabama, and is headquartered in or has its principal place of business in the state. HB 36 would provide a $1,500 income tax credit for every new, qualified employee hired by a small business in the previous tax year. A new employee must be employed full time, be an Alabama resident, be paid at least $40,000 annually, and may not have been employed by that company full time during any time 12 months prior to the start of the qualifying hire. This bill also would authorize an additional $1,000 tax credit for hiring a recently deployed unemployed veteran of the U.S. Armed Services. HB 36 would require the Department of Revenue to actively promote the tax credits allowed under the Small Business Jobs Act along with other tax credits available for small businesses, such as the Full Employment Act of 2011 and the Heroes for Hire Tax Credit Act. 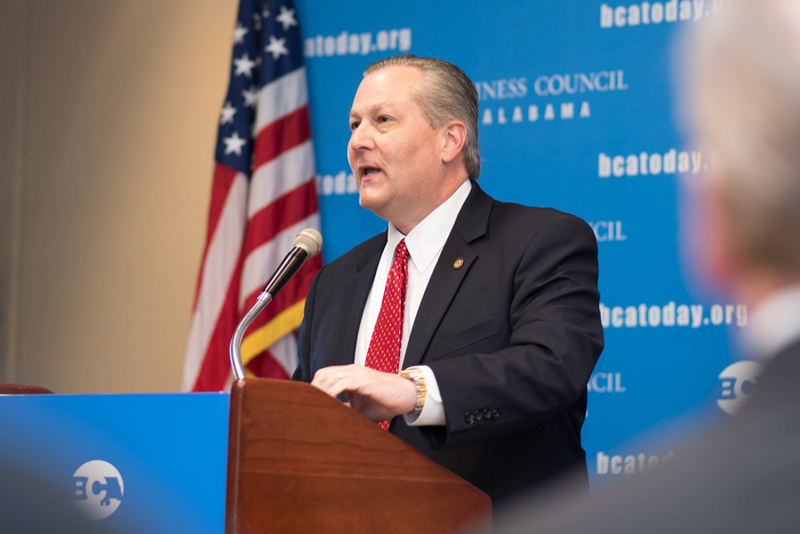 During his briefing to BCA members on Tuesday morning, Speaker Hubbard said that once this small business tax credit becomes law, the BCA and entire business community will need to help spread the word to Alabama small businesses so that they will take advantage of this tax credit. HB 38, the Alabama Taxpayer Advocate Act, would shift the taxpayer advocate-appointing authority from the Alabama Revenue Commissioner to the governor. The appointment would be from candidate recommendations consisting of a committee of government officials and business professionals, including the Business Associations’ Tax Coalition (BATC), which includes the BCA as a member. The advocate would promote the interests of taxpayers in disputes, and create an independent taxpayer advocate website. The advocate’s duties would also include identifying classes of taxpayers or specific business sectors that have common problems related to the Department of Revenue and educate taxpayers concerning their rights and responsibilities under Alabama tax law. The bill also would remove the assistant commissioner’s authority to approve taxpayer assistance orders. The BCA supports this legislation, which received a favorable report from the House State Government Committee on Wednesday. Rep. Tuggle’s HB 38 now goes to the full House for consideration as early as Tuesday. A significant issue for Alabama’s future economic well-being is investing in transportation infrastructure. Recently, five public hearings on Alabama’s transportation needs were conducted in order to urge legislators to enhance the investment in our roads and bridges. Local Chambers of Commerce and the Alliance for Alabama’s Infrastructure (AAI) partnered with the Alabama Legislature’s Joint Transportation Committee to discuss the needs of roads and bridges prior to the 2016 regular legislative session. The AAI is working for a responsible infrastructure investment that includes measures to reform the current system of managing, operating, and investing that is transparent and accountable. Any new revenue must be dedicated totally to road and bridge construction and maintenance and placed in a fund protected from diversions to other state programs or agencies. BCA board of directors member and AAI spokesman Jim Page, President and CEO of the Chamber of Commerce of West Alabama, wrote for the Tuscaloosa News on the importance of adequate and safe roads and bridges for Alabama’s economic development. Page noted that since 1992 when the state’s investment in roads and bridges was last changed, the cost of maintenance and construction has increased and motor vehicles get better fuel mileage, which decreases the effectiveness of state fuel revenues.